It is a difficult process to find the perfect horse betting websites. There are so many different operators promising the best odds and promotions that it is easy to get mislead. The team at Betminded decided to make things a little easier by researching and choosing the Top 5 horse betting websites. The above sites were chosen for a number of reasons. Firstly, as your can see from our table each operator offers excellent welcome offers and bonuses for new and returning customers. This means that customers can always take advantage of special offers and bet more for their money. Secondly, the sites offer a variety of games and sports betting options not just horse racing. This gives bettors the opportunity to try their hand at something different if they wish. Furthermore, the racing options on this site allow customers to bet and view results in real time, with some even offering the feature of watching and re-watching horse races straight from the site. Additionally, every major horse race event from around the world is covered. Furthermore, William Hill, Ladbrokes Coral and Sky bet offer customers the opportunity to bet on virtual horse races. If you are interested in learning more about virtual horse racing read our dedicated article here. The above table is a meant to serve as guide to the best horse betting websites in the UK. The list is formulated in no particular order. The operators that we have chosen as our top 5 all offer customers a mobile feature. 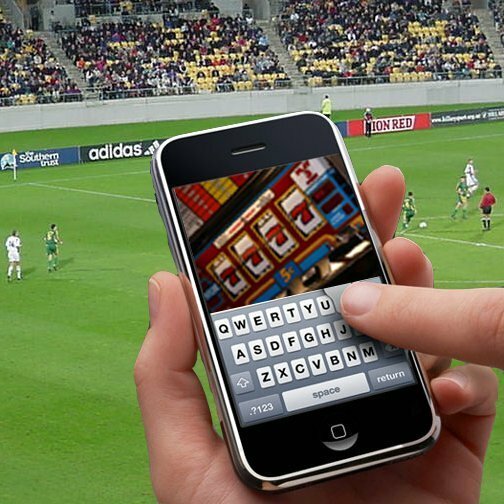 Customers can download a 100% free mobile application for iPhones and Android devices and bet on races straight from their smart phone. The mobile version functions the exact same as the desktop version, members can place a bet, review results, transfer funds and check account history. Furthermore, William Hill and Ladbrokes offer a special free £10 bet when you download the mobile application and place your first bet through the app.